My muse is going to take a week off around July 4th, so the first thing we do today is plan an escape. By “plan” I mean that we find a place on the map neither of us has ever been, and decide to figure the rest out as it comes. Speaking of figuring things out as we go, she wants to make a summer dinner for friends tonight. No argument from me, I’ll help. Did I mention she’s the best cook I’ve ever met? We text some acrobat-friends to see if they’re hungry, and it’s all set. The last time we had dinner with Oli, Elysa and Delilah, we were all in Costa Rica at Graham‘s wedding. They’re highly skilled flying trapeze artists, and accomplished scientists and entrepreneurs. In general, they spend their time making life better for people around them. Dinner is very tasty. Salad, tomatoes, cheese from Cowgirl, and a fantastic roasted leg of lamb with potatoes. 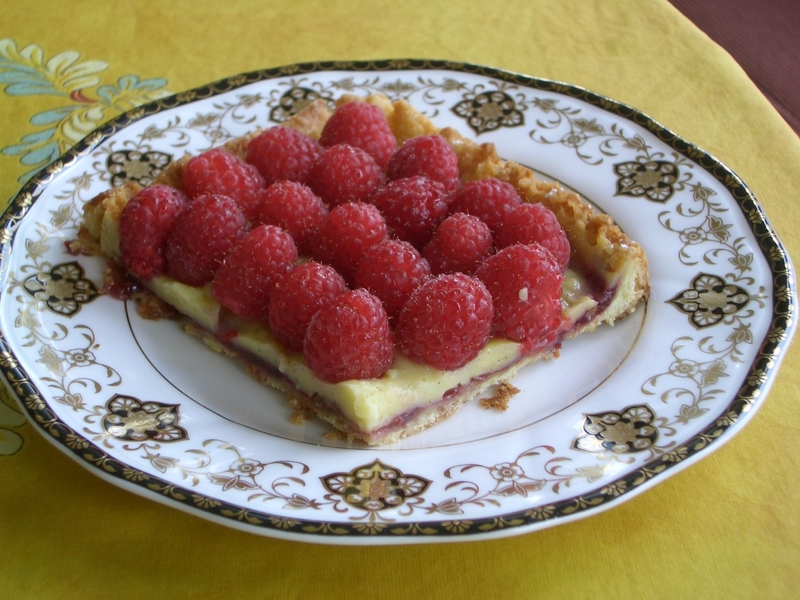 For dessert, the muse makes a raspberry summer dessert. She does everything from scratch, including the sweet crunchy crust. The girl makes an excellent tart. Random assertion: Every hour spent with someone in the kitchen gets added as bonus time onto the end of your life.